Obscured by the fame of the Aztec empire or shrouded by a veil of mystery, the cultural history of the Maya has generally been misunderstood by the British public. 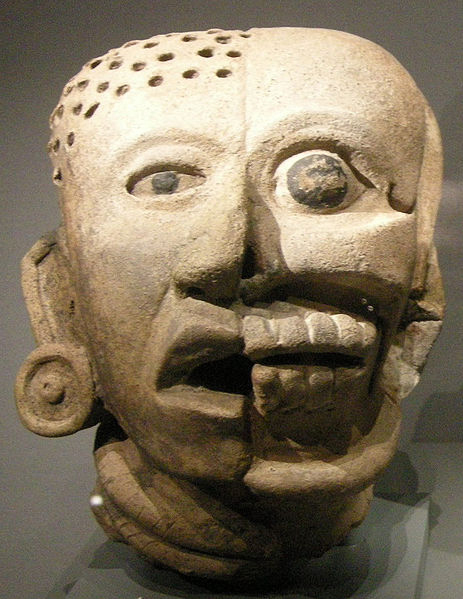 Maya civilisation developed in a territory the size of Germany and Denmark together (nearly 400,000 km2). This vast territory shows three distinctive ecological and cultural regions: the Northern Lowlands, which covers the Yucatán peninsula; the Southern Lowlands, which includes Belize, the Guatemalan Petén region and parts of Chiapas; and the Southern Highlands, which refers to the Guatemalan mountainous region. Conventionally, scholars tend to talk of three major periods in the history of Maya civilisation: the Preclassic (2000 B.C.-A.D.300), the Classic (A.D. 300-900), and the Postclassic (A.D. 900-1550). This periodisation only covers the period before the Europeans arrived, implying that the Maya became extinct after this. Yet, the Maya have continued to develop and adapt through the historic periods that I characterise as the European Colonization (1550-1821), and the National Modern (1821 to date).